Here's Mister Jacks (the one in front). 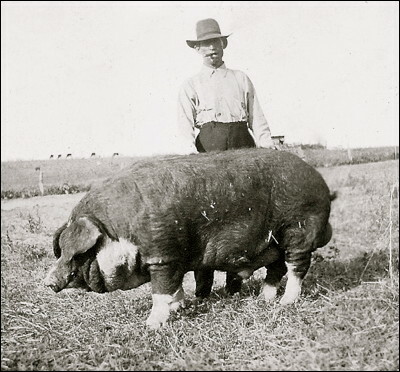 He was an award-winning thoroughbred Poland-China hog weighing in at 1150 pounds. This photo was taken at the Daugherty family farm near Sarcoxie, Missouri.